Once there was a stylish and brand-new bag, left abandoned in a small forest. 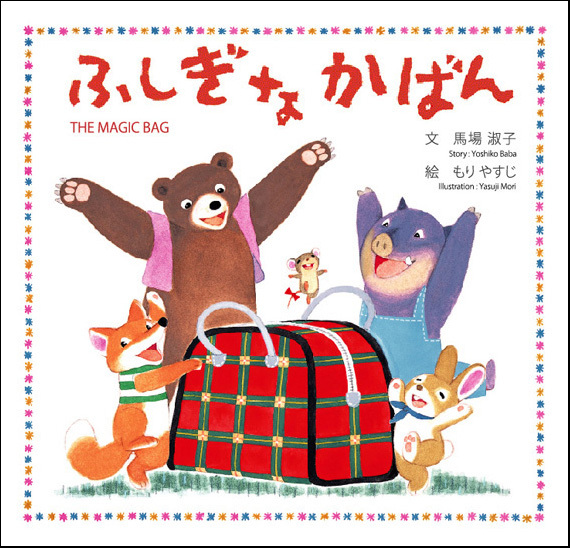 This beautiful picture book is the reprinted edition of the previous edition published in 1977 by Kodansha Ltd., the one of the biggest publishing company in Japan. This edition contains the whole images from the original illustrations, as surrounding edges were cut away in the previous edition. Baba studied literature at Waseda University. 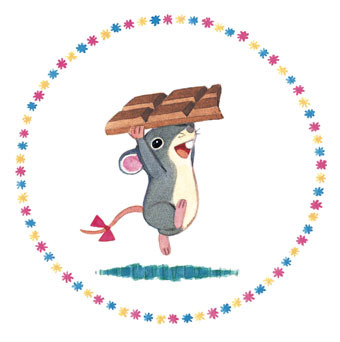 Upon graduation, she worked at Yamashina Institute for Ornithology, then as a lecturer at Women’s Junior College, before embarking on a career in children’s literature. Baba's most notable works include “Chronicle of Straggles for the Wild Field” (Kokudosha co,. Ltd. 1972), which has been adopted into a television drama, and “Mio and the Sea of Whales” (Froebel Kan co,. Ltd. 1992). In recent years, Baba has also worked as a poet, having published a haiku anthology, “Rinne (Reincarnation)”, from Souei Publishing in 2005. Publisher : ANIDO FILM Ltd.
"It's just right for my chocolate!" 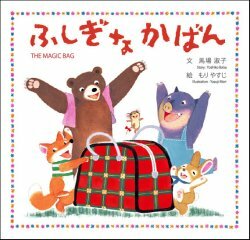 Baba requested Mori to draw the bag many times until it's color and shape became the one as she have imaged.